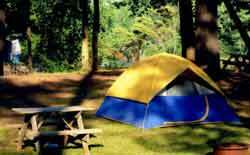 Go camping at these great campgrounds in the Adirondacks! Discover the many options and reserve your campsite today. Find out campsite information including details on location, description, facilities offered and even nearby attractions. This will help you better plan your camping adventure. Once you decide, reserve your campground online! In addition to these state campgounds, there are also many beautiful and affordable privately-owned campgrounds in the Adirondacks! These sites offer some added amenties that you are sure to enjoy!